Almost all gardeners end up with extra seed each year. Whether you saved more than you needed from your own plants, wanted a lot of variety, or simply got overzealous when all the beautiful catalogs came in the mail chances are you’ll have a bit of seed left over from year to year. No matter if you purchased the seed or saved it yourself, you don’t want it to go to waste. Many seeds can last years like this variety of squash which was revived from 800-year-old seed found in a clay jar in Wisconsin! There’s a simple germination test you can do at home to ensure your seeds are still good before planting time. Simply take 10 seeds and place them, folded into a damp paper towel in a container or bag (to help hold in moisture). Set your container in a warm place. The amount of time you’ll need to leave them will, of course, depend on how long whatever type of seed your testing requires to germinate. Be sure to keep the paper towel damp. You may have to sprinkle water on it if it begins to dry out. The number of seeds that germinate will give you a rough idea about their germination rate and you can plant accordingly. Even if only half germinate you still use your seed just be sure to plant thickly in the case of direct seeding or multiple seeds per cell when starting indoors. If you have a lot of seed, testing more than 10 will give you a more accurate percentage. While some seed like beans, corn, and peas naturally keep longer than others like spinach, alliums, and parsnips, storing your seed properly will greatly increase its shelf life. Extra seed should ideally be kept somewhere cool (about 50°F), dark, and dry. Unless your house is extremely humid storing your seeds in the paper packets they came in should be fine. However, you can place the seeds or entire packet into mason jars to be extra safe. Mason jars are also an excellent way to store seed you’ve saved at home. Label everything with the variety and date you stored or last tested your seed. Organize your seeds in the fall that way they’re ready to go and you’re not left scrambling with last minute orders when you can’t find a variety you thought you had in the spring. If you’re planning on saving your own seed this year be sure that you’re processing it properly if you want it to last. 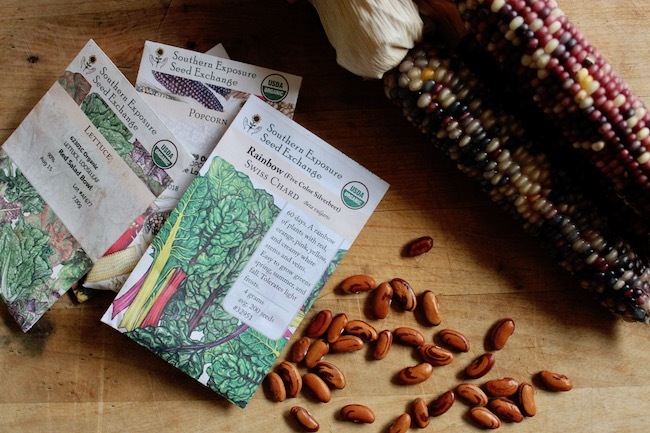 Here are a few of our resources for those looking to become more knowledgeable about saving seed at home. 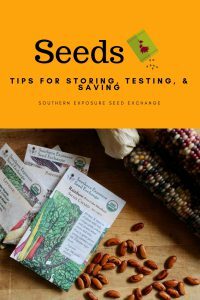 Even if you don’t have the time or desire to save your own seeds learning to properly care for your purchased seeds can save you time and money each year. It’s that time of year again! The new 2018 Southern Exposure catalog is coming out and gardeners everywhere are browsing varieties and dreaming up big plans for springtime. At Southern Exposure a lot of work goes into selecting and growing each and every variety we offer. However there’s a few varieties returning to SESE this year that we think are worthy of a shout out. First off is these awesome heirloom beans. The original seed was given to SESE by Marge Mozelisky which had been handed down to her from her grandmother. 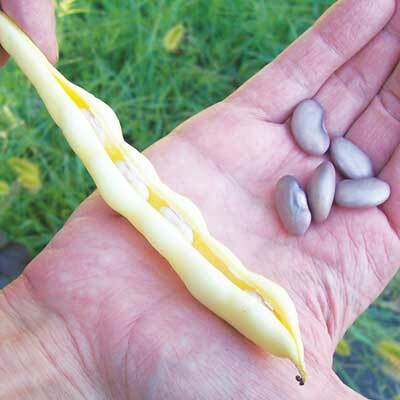 This unique variety is a pole snap bean with the distinct characteristic of tasting a bit like mushrooms when cooked. 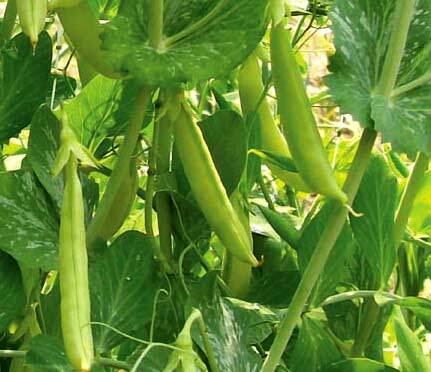 If you’re looking for an easy fun bean this spring these are a heavy yielders and ready to harvest in just 56 days. This heirloom variety predates more modern sugar snap varieties but is still sweet and vigorous. It’s always a springtime favorite as it can be sown as soon as soil can be worked in the spring and is ready to harvest in just 62 days. While this is a newer variety it has still quickly earned a place in our hearts. 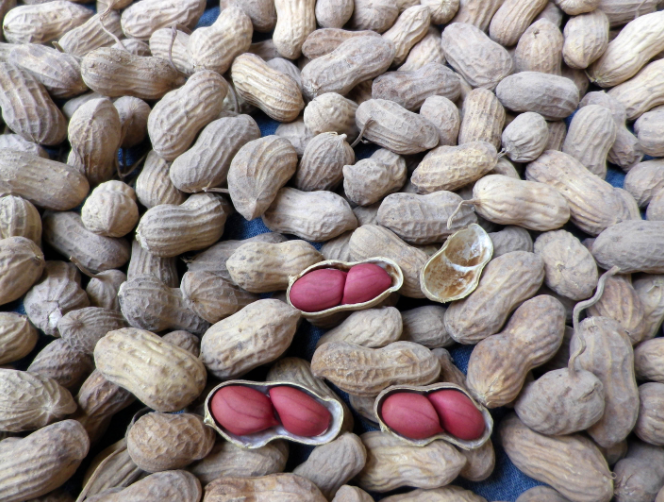 Georganic Peanuts were developed specifically with organic growers in mind. They have sprawling runner growth that helps to prevent weeds and excellent disease resistance. Their red-skinned seeds have good flavor and they do best when grown in the deep south. This variety, bred by John Navazio, is SESE’s favorite purple carrot. They’re ready to harvest in 80 days and offer consistent color and great flavor. Their exterior is purple while their interior is bright orange or yellow. They also offer a sweet almost, “wild” spicy flavor and good storage ability. 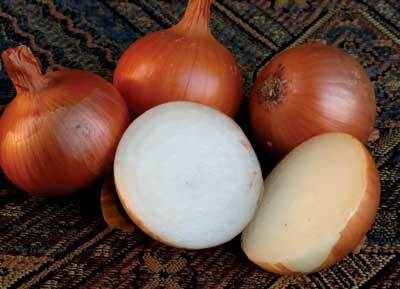 One of the best onions for extended storage this variety is an Australian heirloom dating back to before 1897. It takes 100 days to be ready to harvest and has mild white flesh and thick amber-brown skin. Pick this one to help stock your pantry for the year! Sea Island Brown is a lovely heirloom cotton that is believed to be a cross between Sea Island White and an unknown brown variety. 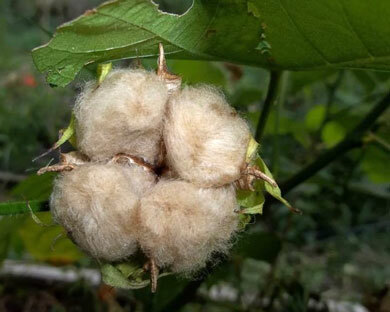 This cotton offers “naked seeds” which are easy to remove from the lint and has longer fiber than other browns. Spun up it has a bit of shine. It grows 5-6ft tall and is ready to harvest in approximately 135 days. 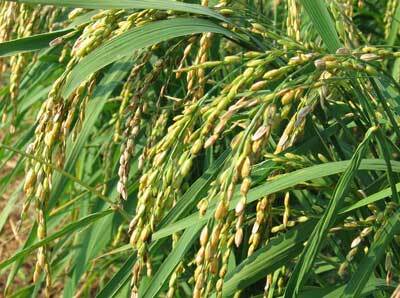 This unique rice can be grown as an upland or paddy rice and is ready to harvest in 120 days. The plants are vigorous, grow about 3ft tall, resist lodging, and have excellent cold tolerance in the seedling and reproductive stage. It does require more nitrogen than heirloom rice. Choosing seeds can be fun but it’s never easy to decide on varieties. We hope at SESE you’ll find awesome heirloom and modern varieties to suit your gardens specific needs and your garden dreams. Also keep an eye on the blog or browse the website or catalog in the coming weeks to learn about varieties that are completely new to SESE this year!